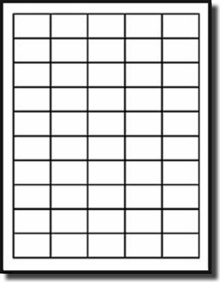 1,000 White Matte Address Labels, 1-1/2" x 1"
Label Outfitters is your BEST Source of all types of Blank, Printer Labels. 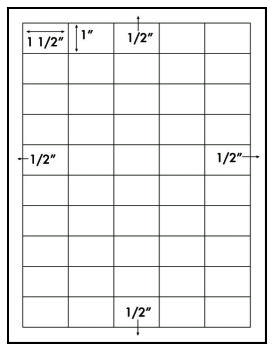 This label is 1" x 1.5", 50 per sheet, and is often used as Bar Code and Price Marking. Note: Inkjet Printers are not recommended for Bar Codes. Made in the USA! Great to work with a supplier that goes the extra mile. Great value for great quality and GREAT assistance!!! The labels work wonderfully and the instructions (unrequested) sent along to assist were marvelously helpful! Thankful to be working with your company! I use these labels for my notecards, creating about 200 per month. They work perfectly, great quality, perfect size, just what I need to sell my notecards.